LONDON: Oil fell 1 per cent on Wednesday after a report showed a rise in US crude inventories, while concerns about the impact of US sanctions on Venezuela on global supplies eased. US crude inventories rose by 2.5 million barrels last week, the American Petroleum Institute said on Tuesday. The government’s official supply report is due later on Wednesday. Benchmark Brent crude had slipped 62 cents to $61.36 a barrel by 1000 GMT, after rallying about 15 per cent in January. US crude was down 48 cents at $53.18. 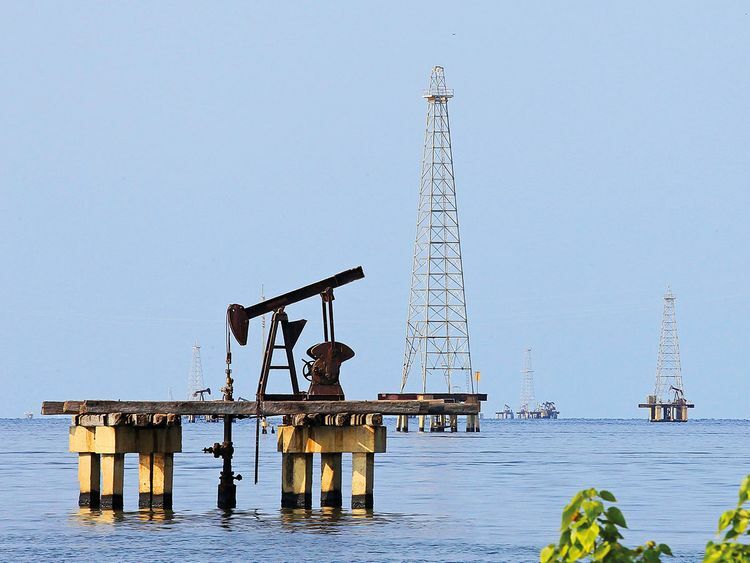 “A bumper January for oil bulls is turning into a gloomy February as the supportive glow of Venezuela’s deepening turmoil starts to fade,” said Stephen Brennock of oil broker PVM. He said the API figures showing rising stocks “do little to silence the US glut alarm bells.” The US announced sanctions on Venezuela’s state oil company last week, a move that could curb supplies but the development has yet to push prices up steeply. “It would seem that the market is really not too worried yet about the potential loss of Venezuelan barrels,” analysts at JBC Energy wrote. “This is either because the market assumes that the size of the impact will not be large, or at least it will be of short enough duration,” they wrote. Concern about weaker global economic growth and the trade dispute between the United States and China have also weighed on sentiment. Oil fell on Tuesday after a survey showed Eurozone business expansion nearly stalled in January. US President Donald Trump said in his State of the Union address that a trade deal with China was possible. Senior US and Chinese officials are poised to start another round of talks next week. Supply cuts by the Organisation of the Petroleum Exporting Countries and its allies, including Russia, have been supporting prices. The producers’ alliance, known as Opec+, began cutting production from last month to avert a new supply glut. Opec has delivered almost three-quarters of its pledged cutback already, a Reuters survey showed.